This year is going to be THE year of the holiday! We are off to Lanzarote in a few weeks and then trips to Butlins and the Isle of Wight beckons in August. I will be honest? I CAN'T RUDDY WAIT! Living in Birmingham means we are officially the furthest place in the UK away from the beach (I may have made that fact up). 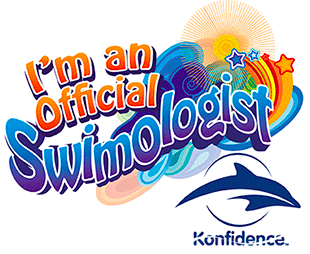 So it's ideal that we have been chosen as one of Konfidence's Swimologists. We intend to go away lots and give their range of swimwear, floats and toys a real run for its money! We were lucky enough to be sent a few Konfidence goodies to trial that will make a day at the beach, or in your local pool a lot more fun. And at the end of my swimming essentials you will find a £50 competition to go and buy your very own swimming treats. I think my pair will get loads of use out of these wetsuits. Not only will they help to keep them warm both inside and outside the water. As they have 100% UV protection and bright designs they will be sun safe and won't get lost amongst the millions of other small humans going for a paddle! With fab new designs coming later in 2016, these jackets are ideal to pop over the top of your little ones costumes. 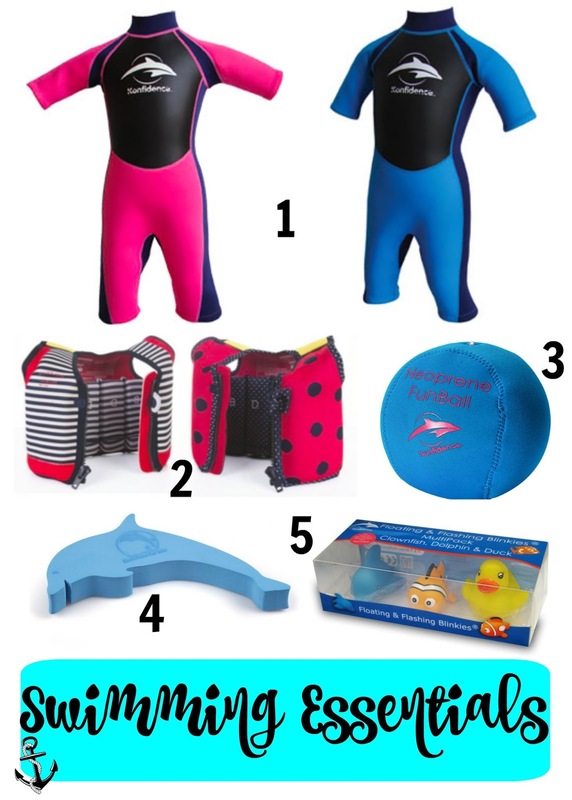 Not only do they look great but they also it uses an 8 float system to help your child build their confidence with swimming. This ball is ace, as is it fun for Dad's to play with, but also acts as a motivational tool for your kids to go and collect the ball in the water. Again building their confidence without them really knowing. These floats are used often in my girls swimming class, and like the neoprene ball they are really fun to play with in the water. To swim and try and get them or to throw at Mummy's head and laugh hysterically. These three cute toys will more be aimed at my son who hasn't had swimming lessons yet. They will make him feel that going into the water (no matter how cold and believe you me the British seaside is COLD) is fun and something he should enjoy doing. You have seen some of the lovely items we have been sent and now it's time to take a look for yourself. If you are interested in winning £50 to spend over on the Konfidence website please enter the Rafflecopter below. Winners will be drawn in a fortnight. Good luck! I would buy me two girls a Warma Wetsuit each - I have heard that they are fantastic! Thank you! We are off on our first holiday abroad as a family this year, this is a fantastic prize. I would buy the warma wetsuit, they sound amazing! I would get swim googles and diving sticks for my kids! I would get my youngest a sun protection t shirt and shorts, I would even get the sun protection hat so that she could have hours of fun taking it off and throwing it on the floor! I would buy both my son and daughter one of the float swimsuits, I love them and think they are a great idea. I need more of their sun hats. Super wide brim and great neck covering. Just waiting for this year's designs to arrive, as I can't face the arguments if they don't match! on warm wet suits, different age groups though so as my daughter gets older she ll still have an excellent wetsuit.